Official Theradome EU USB plug and Micro USB cable. 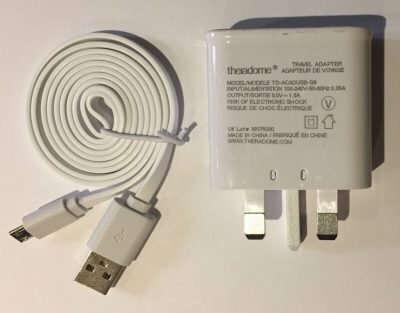 Official Theradome EU Two Pin USB plug and Micro USB cable. Both are officially imported from Theradome Inc. and come in the official packaging.